While welcoming new Rajya Sabha Chairman M Venkaiah Naidu, Mr Prasad tried to follow Mr Naidu's inimitable style of rhyming to convey political statements. 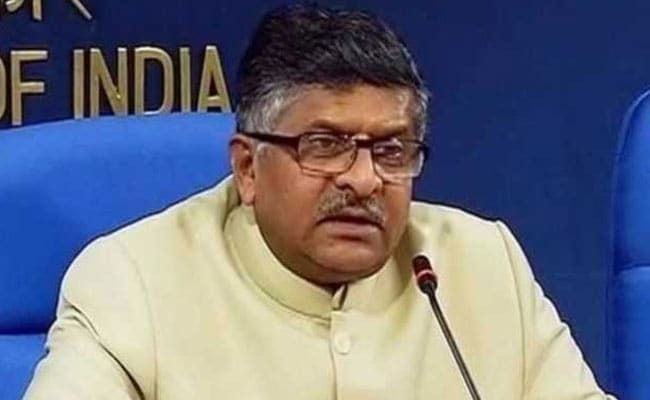 New Delhi: The opposition must have its say, the treasury benches must have their way and Parliament will function in a better way when that happens, Law Minister Ravi Shankar Prasad said today. "The opposition must have its say, but the treasury benches must have their way. When that happens, the Parliament will function better," he said. Ravi Shankar Prasad also hoped that Mr Naidu's rich experience will help in the better functioning of the House. Mr Prasad's reference was towards the frequent disruptions in the Upper House by the opposition due to which the government business suffered and several bills could not be taken up for passage. He hoped that Venkaiah Naidu will utilise his experience for the betterment of Parliament. Mr Prasad also took pride in the fact that he was among those who had emerged as young leaders under Mr Naidu's guidance as BJP's president. The Union Minister said as party president, the new Vice President had helped prop up many young leaders like himself and Union Minister Mukhtar Abbas Naqvi, who now hold important positions in the government.